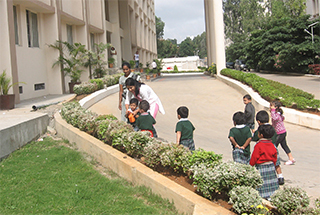 Vydehi School is supported on its mission to improve the overall experience by different parents and friends of the School, who are keen and passionate to enrich the school environment. Vydehi School encourages and invites the entire community to come closer in achieving its objectives of a healthier school environment. The volunteers can contribute their skills to several programs that are held in the school. It can range from support offered from office to classrooms. The school conducts several events where volunteers can lend a helping hand to support the whole event. Those interested to come forward and volunteer can contact us by filling the form provided below.